The main headline of this week's newspaper talks about tusk, the greatest opponent of Card-Jitsu Snow. By Unknown -- Many skilled ninjas are returning from the snow-covered mountainside with news of menacing minions and a masked walrus. 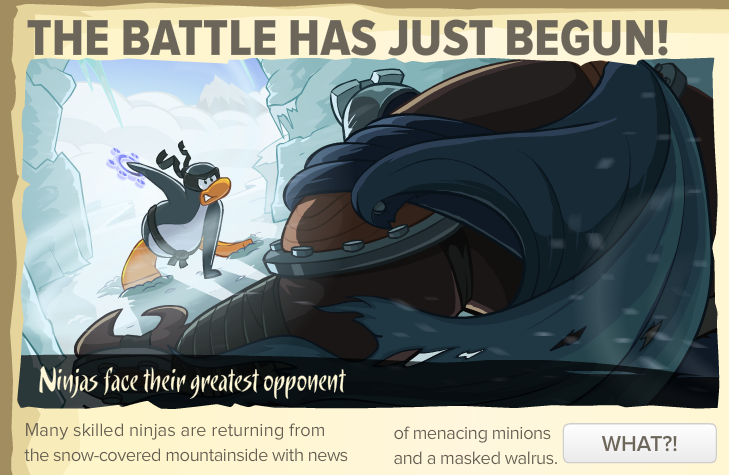 The second article of this week's newspaper is about Snow ninjas controlling the weather, the elemental power of a Card-Jitsu Snow ninja has been released. June 6 - The Stage - Dive deep underwater, and discover Penglantis. June 6 - Postcard - Have you sent out a postcard lately? Check out this month's Featured Postcards! 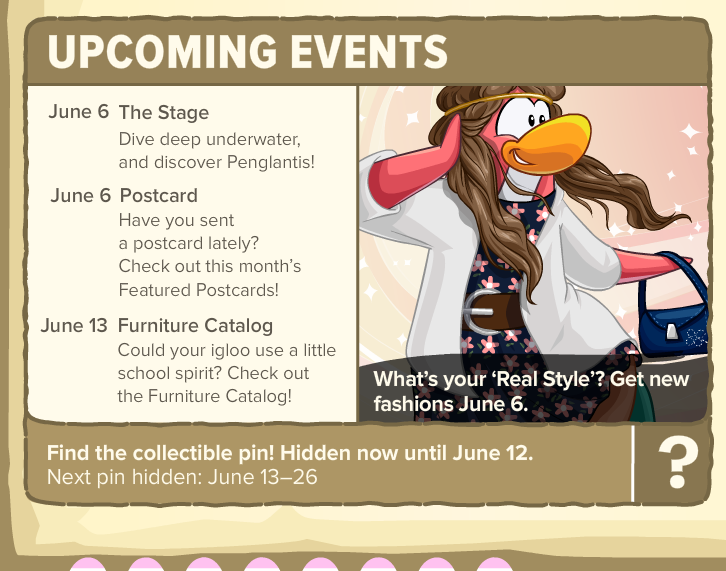 June 13 - Furniture Catalog - Could your igloo use a little school spirit? Check out the Furniture Catalog! Are you having a good time at the Card-Jitsu Snow party? Have you defeated Tusk? Leave your comments below!